Green backgrounds indicate free tokens. Blue backgrounds indicate commercial tokens. Tokens by devinnight. Hi-res and Lo-res Token Packs. Devinnight has Token Packs available here and here and is also open to carrying out commissioned work. Take a look at his work on his Token Blog. Free tokens and maps by Tailz from Studio WyldFurr, can be found at the Studio's Free Stuff page. While a free Sample Pack of tokens and maps from Studio WyldFurr can also be found at RPGnow.com. Studio WyldFurr has a growing range of 3D rendered Tokens, and photo realistic role-playing maps that can easly be used in a range of VT's. Studio WyldFurr's range of packs can be found at RPGnow.com or at Studio WyldFurr's own Studio Store. From RPGMapShare top down fantasy tokens can be found here and here, top down modern tokens can be found here and here, top down Sci-Fi tokens can be found here and here and lastly traditional tokens can be found here. From Mapventures, the Complete Token Pack almost 100 tokens for online gaming platforms as Fantasy Grounds and the like. Character portraits for the players with different background colors that help distinguish between players. For the Gamemaster there are alot of common mosters in the same style, but with grey backgrounds. The size of the tokens represent community standards of 50x50 pixels and fit maps created for that standard. 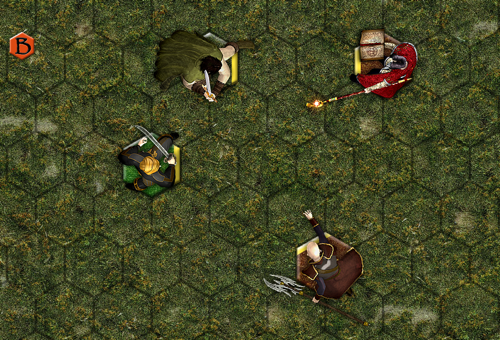 There are also smaller emblem tokens included, used to show locations on overland maps or features in a dungeons. The tokens are in PNG file format with a transparent background. For a varied selection of tokens visit the tokens page at The Tangled Web. Side view tokens by Gwindel can be found here. There are Fantasy, Historical, Modern and Sci-Fi tokens. Try searching the Dundjinni Forums too! Battlegrounds offers a number of free artpacks which can be downloaded from here. 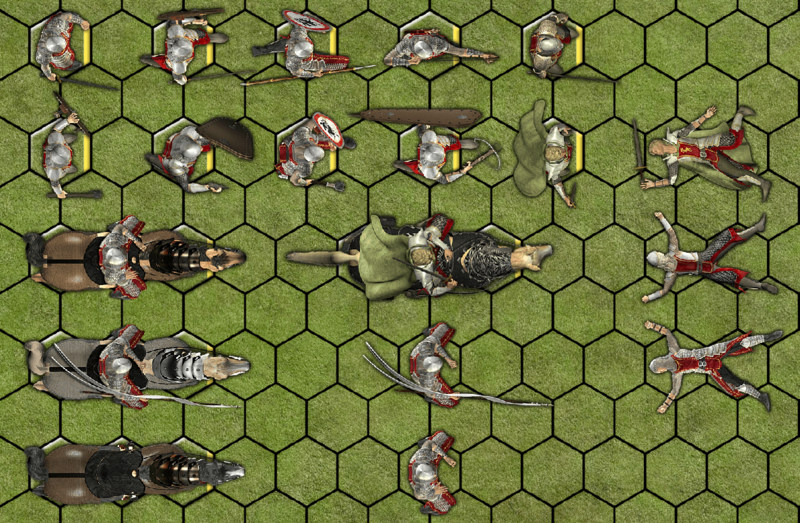 The Battlegrounds Store has some good looking Medieval & Elven Armies and a Monster Pack top down tokens. 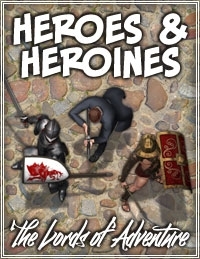 Numerous tokens (Fiery Dragon, Disposable Heroes, Triple Ace Games and PEG) can be found at the Fantasy Grounds store here or at RPGNow or at DriveThruRPG. Thousands of top-down tokens are available on the Battlegrounds Games Store such as these or these. Most are exclusive to Battlegrounds.